(Oregon Coast) – A series of closures are in store for parts of the Oregon coast this week, with some lasting awhile. Roads in Astoria, Warrenton and near Waldport will have a few delays, while one big park in the Cannon Beach area gets cut off for a couple of days. 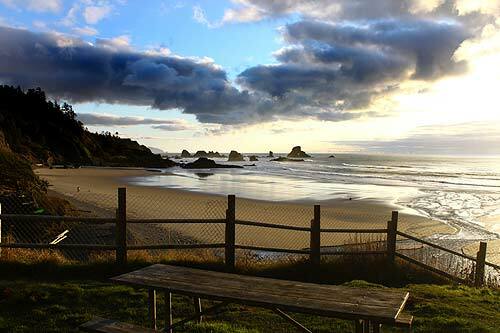 At Cannon Beach, on the north Oregon coast, Ecola State Park will be closed briefly while crews remove hazard trees. The park will be closed from dawn January 10 until January 12. The project is set to continue through early February. No other closures are planned at this time. OPRD hired Astoria-based David Kurns Tree Service at a cost of about $8,000 for this tree-removal project, which also includes other north Oregon coast parks such as Arcadia Beach State Recreation Site, Oswald West State Park and Saddle Mountain State Natural Area. 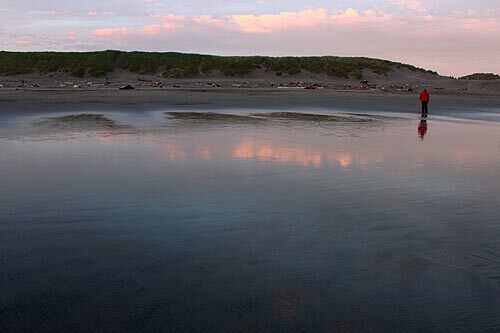 If additional closures are necessary, they will be posted on the parks’ webpages at oregonstateparks.org. The trees identified for removal pose a safety risk to visitors and property. 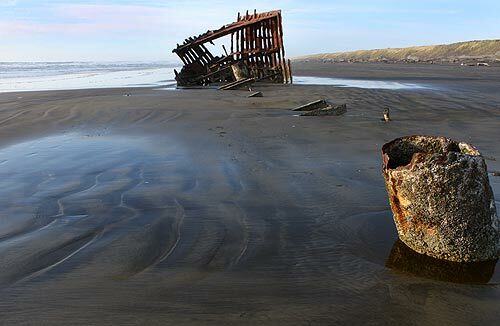 Farther up the Oregon coast, around Warrenton, Fort Stevens State Park is now undergoing a forest health and fire safety project which continues through March. No closures are expected other than Burma Road, a remote emergency access road. Crews will remove sick and dying trees in the mostly undeveloped south section of the park along Burma Road. The area contains some primitive hiking and biking trails. “Our goal is to help the native trees, such as hemlock and spruce, grow into a healthy, mature forest,” said park manager Justin Parker. He said the project will also help protect the park from wildfire by creating a gap in vegetation that would help slow or stop a fire. OPRD brought on Warrenton-based Custom Excavating to remove the sick trees, at a cost of $7,500. Even farther north, in Astoria, the waterfront bridges of 6th Street through 11th Street will be under the knife with a variety of operations. This project replaces six aging bridges at the Astoria Waterfront, at 6th through 11th Streets and to install drainage and water quality facilities at the intersection of Highway 30 and 30th Street in Astoria. Streets will be closed while construction is occurring except for Highway 30. Flaggers will control single lane traffic while construction is occurring at 30th St. The odd numbered streets (7th, 9th and 11th) are scheduled to begin bridge demolition mid-October 2018, and are to be completed by June 15, 2019. The remaining work is to be completed no later than June 30, 2020. Temporary Pedestrian Access Routes (TPAR) will be maintained throughout the work zones and will be ADA compliant. 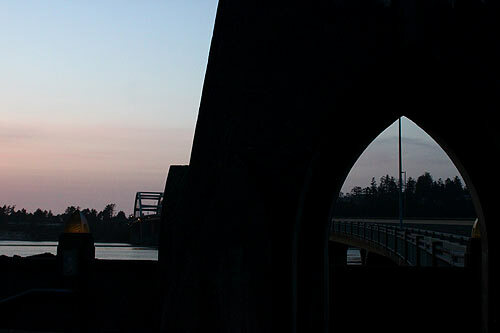 Way down on the central Oregon coast, Waldport’s McKinney Slough Bridge is seeing some major work as well. The OR 34 McKinney Slough Bridge, built in 1957, is being replaced with a new wider and longer structure that will be able to withstand a large earthquake. The new bridge is being constructed one half at a time. Crews are currently working on the south half of the new bridge. Traffic is restricted to one lane, controlled by a signal or flaggers at all times. Construction on the $5,430,550 project began at the end of October and will continue through October 2019.